Acceptance Insurance - E. Palmdale Blvd. I was born and raised in Los Angeles! One of my favorite things to do when I'm not at work is ride my Harley Davidson with my loving husband. I have worked for Acceptance Insurance for the past 2 years. I am extremely passionate about helping my customers, making sure to go above and beyond when it comes to their needs. 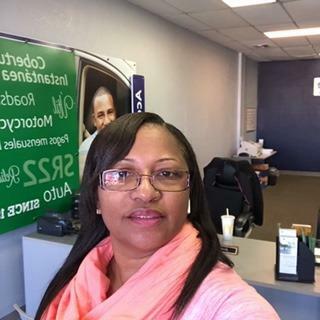 I help my customers by always advising about the risks and benefits of having and not having insurance, giving them reminder calls so that their policies are not cancelled, and educating them about non-owner policies when they do not have the car and want to cancel the policy. Stop by and see how I can help you! About Acceptance Insurance - E. Palmdale Blvd.